The Beretta 486 Parallelo is Beretta's only side-by-side shotgun. Starting from £3,800, will it be enough to tear shooters away from over-unders? This product is featured in: Beretta 486 Parallelo 20-bore reviewed by Shooting Times and Beretta 486 Parallelo shotgun reviewed by Sporting Gun. Apparently, it’s amazing what a difference a couple of inches can make. 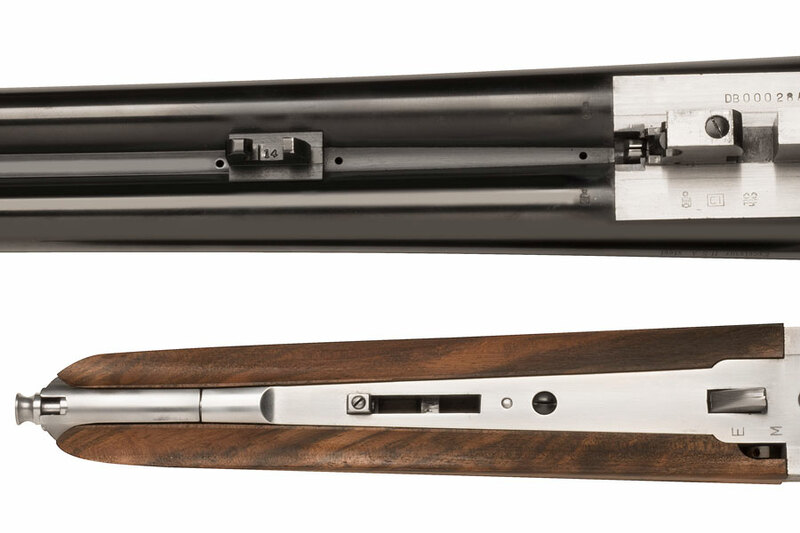 In the case of the Beretta 486 Parallelo – Beretta’s only side-by-side shotgun – a set of 30” barrels transforms this gun from a bit of a curate’s egg into a serious contender for a spot in anyone’s gun cabinet. The Beretta 486 Parallelo sits in a niche all of its own, being a single selective trigger side-by-side game gun for a very reasonable price. Specifying a single selective trigger on a gun from Arrieta or AYA will add something in the region of £1,500 to the price, pushing them well beyond the Beretta. As such, the Beretta 486 Parallelo is almost unique in being a new side-by-side gun with a single selective trigger but at a price that won’t require the creation of hasty excuses for the benefit of your significant other. Moreover, few manufacturers can boast the Italian maker’s enviable reputation for reliability – indeed, Beretta offers a free three-year warranty just for registering the product online. And those who are a little more cautious can even take out a 10-year warranty at the same time for £50. Mechanically, this is the same gun we tested in the August 2013 issue, though this month’s test gun is configured slightly differently, with longer barrels and the optional full pistol grip stock and beavertail fore-end chosen over the straight hand stock and splinter fore-end. This means you are still getting the same lovely rounded action with a beautiful scalloped back edge and attractive floral engraving. The action draws the eye immediately and is certainly the gun’s best feature visually, the pleasing rounded shape made possible thanks to the action being built on the trigger plate. The real delight of the action is the almost complete absence of any screws or pins, giving a large canvas for engraving. Only slight seams along the bottom of the gun hint at the trigger plate construction and though the machined engraving is not terribly deep, it fits the bright silver finish of the metalwork well. Beretta is known for its reliability and the Beretta 486 Parallelo is no different. The wood used has been well matched and the stock is nicely figured, with good straight grain through the hand. Though still slightly rough being so new, the checkering has been skilfully applied and provides plenty of security and grip. In common with most factory-made Beretta shotguns, the wood’s finishing leaves a little to be desired. There is no real shine or gloss, leaving the wooden parts looking a little plain and dull – a great shame given the obvious quality of the wood on display. Though this won’t bother everyone, I would happily spend a bit extra with my local gunsmith to improve the finishing. The full pistol grip stock and the large beavertail fore-end seem slightly at odds with the refined and shapely metalwork. This is brought into particularly sharp relief when you look at where the wooden and metal parts of the gun meet. Though the fit is excellent, there is an obvious step down from the wooden parts of the gun to the action. The removal of just a few millimetres more would have made all the difference to Beretta 486 Parallelo’s aesthetics, though I hasten to add it is by no means unattractive. In this particular configuration the gun almost looks like a 20 bore action with 12 bore furniture. I suspect if Beretta ever decided to make a 20 bore variant of this gun it would be a very pretty thing indeed. The Beretta 486 Parallelo has been nicely finished but lacks character in certain areas. In the hand the gun is comfortable enough, though for me the grip shape is slightly off as it feels a little too square and lacks any real swell into the palm. Our test gun weighed in at 7lbs. 1oz. and the balance is certainly felt in the front hand, as you might expect with 30” barrels. The gun mounts positively and consistently and the stock is well shaped out of the box, being comfortable on the face and of a good length. The longer barrels really do transform the handling, altering the weight distribution and allowing very direct mounting onto the target. They lead to smooth, easy and deliberate swings. Trigger pulls are excellent, as you would expect of any Beretta shotgun, and the ejectors are powerful. Recoil is also dealt with superbly, even with heavier loads, making this a very viable choice for a serious high bird day. The debate over the need for longer barrels is a long and tired story, but here at least I can give a definitive answer: size matters. 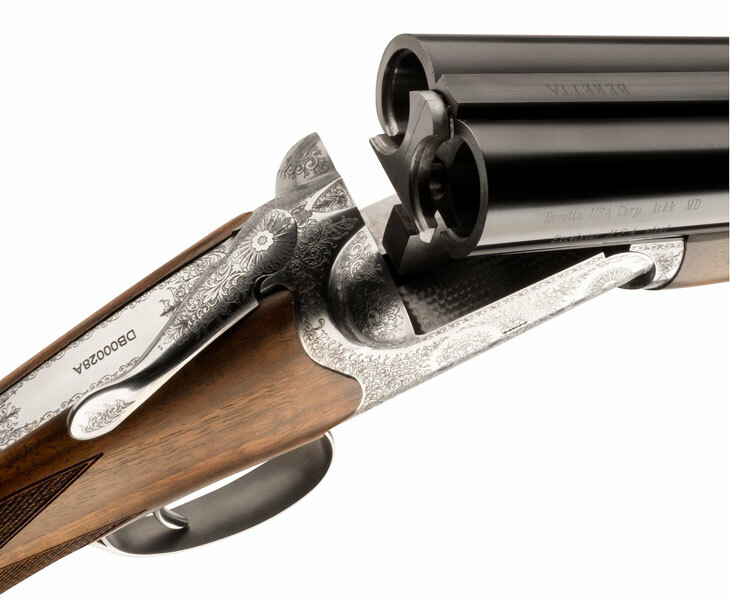 Longer 30” barrels make Beretta 486 Parallelo a serious proposition for any sportsman or woman looking for a new side-by-side shotgun for high birds and big days. Beretta really knows what it’s doing when it comes to single trigger shotguns and if this new side-by-side offers anything other than virtually bulletproof reliability I would be very surprised. The gun is well made and has been nicely finished, but it feels like it is perhaps lacking some character. A few years in the field and perhaps a little investment in some extra finishing on the woodwork will improve the gun no end. If you prefer to shoot with a straighter front arm then you may wish to invest in a leather barrel guard to ensure you don’t burn your hand when you are in the hot spot and the birds are pouring over your head. Although the beavertail fore-end is well made with good checkering and a push-button release, to my eye it is not the gun’s most attractive feature. I would also prefer the grip to be a little more swept back, though this is a complaint I level at most guns from the continent. In terms of competition in the market even if you are looking to spend a bit more than the £3,800 tag on this gun I would suggest you might be better off sticking with double triggers from other manufacturers if you want cast-iron reliability. You can find single selective triggers on a number of new continental guns but I recommend you think carefully unless you are looking at the high end. Few companies can match Beretta for engineering and construction quality, and its guns are famously reliable. So in conclusion if you want a new single selective trigger side-by-side shotgun at this price point then the Beretta 486 Parallelo could well be the right choice for you. This gun was a real surprise to shoot. I had a few qualms about the shape of the grip and the large beavertail fore-end, as when held cold the Beretta 486 Parallelo did not seem to sit well in the hands. The positivity of the mount and the lovely swings that the gun produced once in the shoulder, however, meant these concerns were easily ignored. It was so easy to mount cleanly up onto the target, and moving to fire came naturally. Though the gun handled deliberate swings well, for me the Beretta was at its best when I was shooting instinctively. Trigger pulls were excellent and the gun opened and ejected well. Recoil was dealt with remarkably effectively too, though lighter loads did cause the inertia system a few problems, with the second barrel occasionally not being engaged after taking the first shot. This was likely due to the gun being new and I had no such problems with heavier loads. This is a surprising gun that left both me and instructor Bruce Marks very impressed.